On September 28th, 2018, Pike Stained Glass Studio celebrated our 110th Anniversary with our clients, friends, staff, contractors and vendors with music, light refreshments and open studio tours. 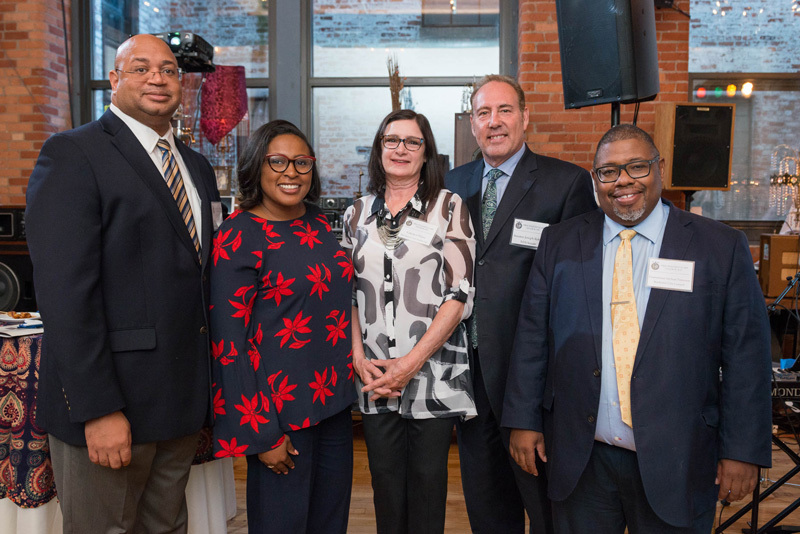 The highlight of the evening was receiving Proclamations from Rochester Mayor Lovely Warren, Joseph Robach, NYS Senate – 56th District, John F. Lightfoot, Monroe County Legislator – 25th District and Michael Paterson, Rochester City Councilman-Northeast District. We were also honored to receive letters of congratulations from Monroe County Executive Cheryl DiNolfo, US Senator Charles Schumer and a New York State Executive Chamber Certificate of Recognition from Governor Andrew Cuomo. In addition to the evening’s festivities, our Anniversary was also recognized by an article in the September/October issue of (585) magazine, and a front page article in the Rochester Business Journal, Volume 34, Number 26. The Studio was also featured on the 13WHAM Good Day Rochester morning show.